Ceramides for hair and ceramide hair oils were covered extensively in Ceramides in Natural Oils for Moisturised and Healthy Hair. 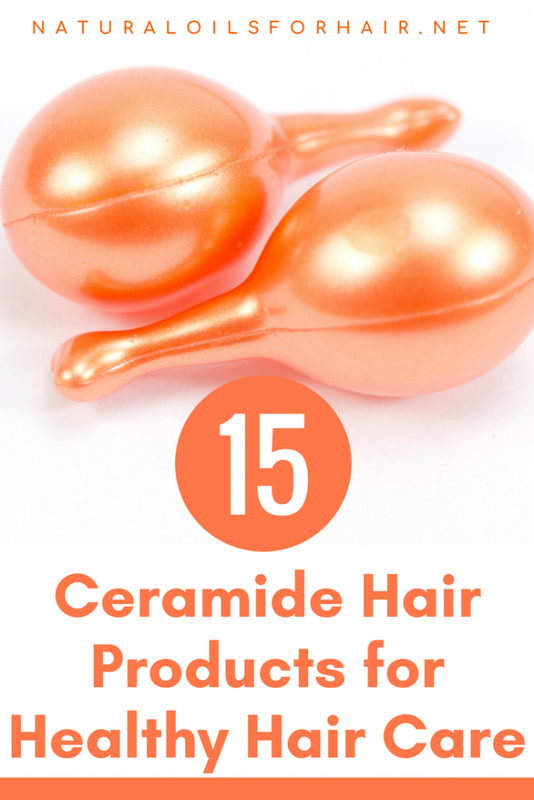 This article was followed by the top 15 Products with Ceramides That Help Achieve Moisturised & Healthy Hair – Part 1, which covers top ceramide hair products for healthy hair care. This article is a continuation of the list and the last in the ceramides and natural oils series. To get a better understanding of ceramides, start with the first article HERE. 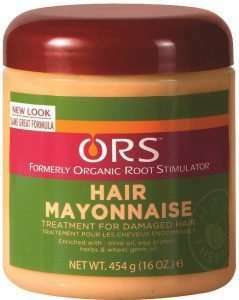 ORS Hair Mayonnaise Treatment for Damaged Hair is another brand that has been around for some time. They upgraded the branding as well as the formula some time ago. The current product contains safflower oil, sunflower oil, soybeans and wheat germ oil, all excellent ceramides. The product is a deep moisturizing conditioner for weak and damaged hair and helps stop breakage. It’s a medium strong protein treatment for over processed hair. The consistency of ORS Hair Mayonnaise Treatment for Damaged Hair is thick and creamy with a strong scent. It’s a product better suited for hair type 3 – 4 ladies. Tip: If it doesn’t work for you as a deep conditioning treatment, use it as a pre-poo instead or mix it in with another deep conditioning treatment, which doesn’t contain protein. You can read reviews about ORS Hair Mayonnaise HERE. Redken Extreme Anti-Snap Leave-In contains a synthetic ceramide, which is more concentrated than the ceramides that occur naturally in oils. They are both as effective and it all boils down to your hair type and how you use it. Redken Extreme Anti-Snap Leave-In is a treatment for damaged hair with split ends and other types of distress, working to fortify your hair over time. While it cannot cure split ends, it can lessen the progressive damage while you trim off as you are comfortable with. It has a delicious cotton candy scent and is one of Redken’s best products. This is an excellent product for all hair types but especially for fine and limp hair. It can also be your hair’s best companion after a chemical treatment. You can read reviews about Redken Extreme Anti-Snap Leave-In HERE. 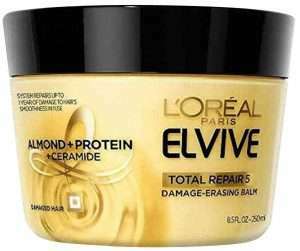 L’Oreal Total Repair 5 Damage Erasing Balm contains L’Oreal’s own brand of ceramides known as Ceramide R, listed as 2 oleamido 1,3 octadecanediol on their products. The Total Repair 5 Damage Erasing Balm is a rinse-out reconstructor, which is supposed to repair the 5 signs of damage – split ends, weakness, roughness, dullness, and dehydration. 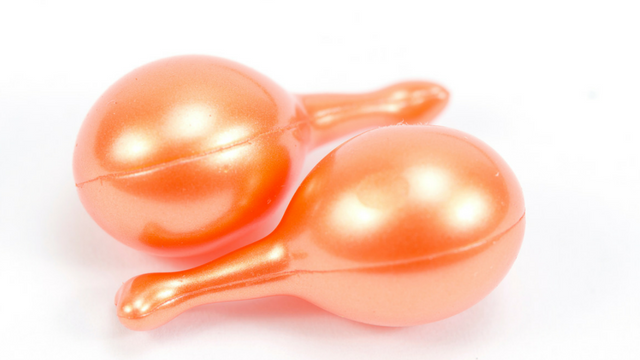 You should see results after the first treatment and noticeable results by the third treatment. The balm is thick and creamy and comes in a tub that can last for quite some time. It is effective for all hair types especially hair damaged by coloring. By the way, the 5 Damage has a line of other products which you can check out at L’Oreal Ceramide Products . Tip: Wash with a mild shampoo, apply this and leave in for 20 minutes then rinse out and apply a little bit of argan oil or avocado oil to hair and style as usual. You can read more reviews about L’Oreal Total Repair 5 Damage Erasing Balm HERE. Tigi S Factor Serious Conditioner contains sunflower oil. It also contains hydrolyzed silk protein and amino acids. The consistency is thick and acts as a mask for mildly dry or thin hair. Use as a deep conditioner after shampooing for smoothened and soft hair. It comes in a pricey tube or a jar. The tube is handy for traveling but the jar will last much longer. You can read more reviews about Tigi S Factor Serious Conditioner HERE. Taliah Waajid Enhancing Herbal Conditioner contains walnut oil. It is thick and heavy and acts as a moisturizing conditioner, which leaves hair easy to detangle and enhances manageability. For a more effective treatment, make sure your hair is damp and not soaking wet before you apply it and let it sit for up to 15 minutes before rinsing out. This conditioner is too heavy for finer hair types and is best for type 4 hair. You can read more reviews about Taliah Waajid Enhancing Herbal Conditioner HERE. 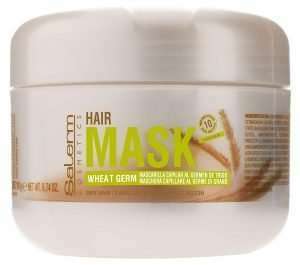 If your hair is extremely dry and damaged, Salerm Wheat Germ Conditioner is an ideal treatment to recover your tresses. The product has a medium creamy consistency with an interesting citrusy smell, which you may or may not like. As the product name indicates, Salerm Conditioner contains wheat germ oil as well as Vitamin E oil. It conditions hair from root to tip, leaving hair soft, moisturized, glossy and silky. It is suitable for all hair types. Tip: Apply to clean hair, work through like you would a shampoo, cover with a shower cap and leave in for up to 2 hours then rinse out with warm water and style as usual. You can read more reviews about Salerm Wheat Germ Conditioner HERE. Ion Moisturizing Treatment contains wheat germ oil, sesame seed oil, and corn oil and is a powerful treatment for hydrating and strengthening dry hair. It’s a lightweight conditioner that can be used daily and is ideal for all hair types especially chemically treated hair. You can read more reviews about Ion Moisturizing Treatment HERE. Jane Carter Nutrient Replenishing Conditioner contains soybean oil in addition to olive oil and hydrolyzed wheat protein, which provide strength, sheen, and elasticity to dry hair. Activate with heat after shampooing and leave in for up to an hour for a great conditioning treatment. 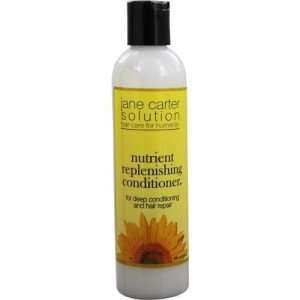 Jane Carter Nutrient Replenishing Conditioner can be used with all hair types but is best for is best for type 3 – 4 hair. You can read more reviews about Jane Carter Nutrient Replenishing Conditioner HERE. I thought about the Tigi S Factor after reading about it here but saw the price tag. I might have to look into the Jane Carter conditioner. I’ve been seeing a lot about the Nourish and Shine product, so I’ve been looking more into that brand. If it came to choosing between the two, I’d say go with Jane Carter especially if you’re natural and/or like to cowash.